The National Association of Nigerian Students NANS has tackled the Akwa Ibom State Governor, Mr. Udom Emmanuel, over an alleged negligence to their welfare, which borders on payment of bursary, issuance of scholarship, improved condition of learning and grants for special students(Law and Medical students). Addressing a press conference in Uyo on Tuesday, the NANs president said since the Akwa Ibom State Government has failed to honour the one week ultimatum issued it to pay up the bursary owed itâ€™s students, the students have no option than to embark on massive protests. The statement partly read, â€œNANS has demanded for immediate payment of bursary and scholarship. The ultimatum elapsed today as the Akwa Ibom government has deliberately refused to pay bursary to students since assumption of governor Emmanuel to office. â€œA government that courts students on political praise singing cannot but be determined to punish them for ignorantly signing out their future in exchange for political patronage. â€œThe students, not those usually hired for political endorsements are determined this time to secure their rights. They have decided to embark on massive protests; there will be total resistance to the sheer neglect of the rights of students. â€œWe can no longer remain pawns on their chessboard. 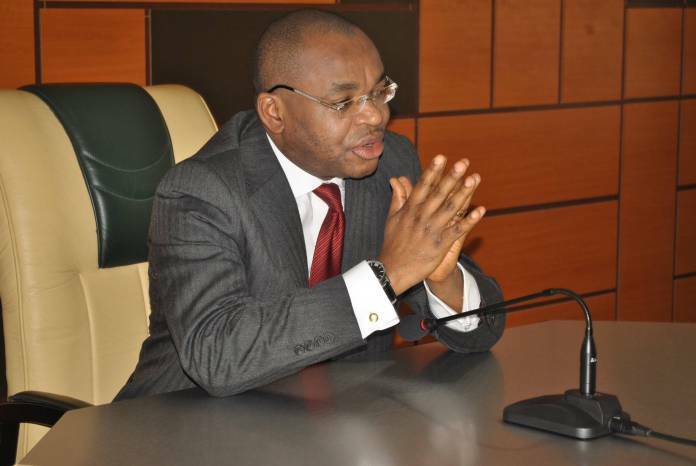 The Udom government has denigrated Akwa Ibom students and it is time to say Enough is Enough! â€œEver since we issued the ultimatum, we are aware that there are plans to silence our position and possibly come after key officials of the NANS leadership, particularly the president of NANS. We have been reliably informed that some thugs have been contracted to hack down NANS president. We are calling on the entire world to hold governor Udom responsible should anything happens to the NANS president or any of the officials. â€œHaving failed in delivering dividends of democracy in the educational sector, the governor resorted to hiring the students for political endorsements. It is the height of degradation of our dignity. This total neglect of education is akin to taking us back to the inglorious days of slavery, human capital under development and poor education. On why the agitation was coming few days to the elections and whether it was politically motivated, the outspoken President said, â€œThe time to fight for our rights is now, besides i assumed office as the NANS president few months ago. â€œOur course has nothing to do with political lines, recall that few days ago we gave an ultimatum to President Buhari concerning the ASUU strike, that was what compelled the Federal government to reconvene a meeting with ASUU which i believe will yield positive results. â€œIt is not about a political party but about government. It is mischievous for AkwaIbom state government to hide under the umbrella of lack of funds to not pay bursary. Akwaibom is one of the richest if not the richest state in the country. â€œThere are states that are financially handicapped that cannot take care of themselves not to talk more of bursary and scholarship yet they are doing it. For instance Nasarawa state is known to be financially handicapped, yet, the governor pays bursary and even the welfare of special students were taken care of. The governor even went as far as providing grants and laptops for them. â€œStates like Zamfara, Borno that are ridden with crises are investing so much in the education sector. Can you compare their federal allocations and the IGR accrued to those states to Akwa Ibom State,â€ he queried. â€œFirst and foremost I wish to state that the authentic NANS leadership have been in discussions with representatives of the state government to agree modalities for Registration, Verification and pre-qualification of beneficiaries. These are requisite processes that must be completed before computation and execution. â€œAny NANS group threatening to carry out a protest is obviously on the path of a political motivated blackmail to smear government.